Updated Saturday January 5, 2019 by WCIHL. HECC approved helmet with helmet- and chin-straps properly fastened and HECC approved full face mask with a chin cup. Skates – Hockey skates are recommended. All braking devices must be removed. Stick – Width of the blade must be greater than 2 inches at its narrowest point. Protective Cup – Yes, for girls as well as boys. Proper fit is very important, so please resist the urge to let your player grow into his/her gear. Correct fitting gear can be the difference between a great season and several weeks healing from an injury. If you are unsure about the correct size, the people at Play It Again Sports in Nashville will gladly help. and several other internet-based hockey stores provide sizing charts and customer service lines. 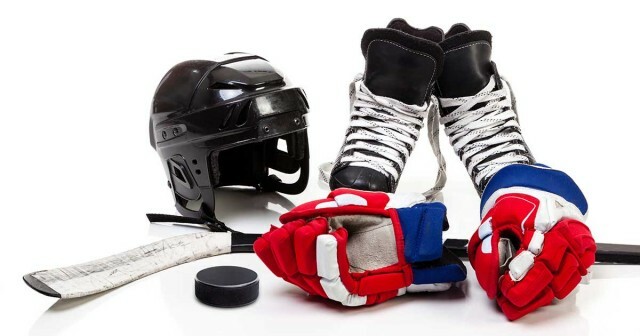 WCIHL also offers an equipment rental program every season to make hockey affordable for everyone! A $20 retal fee with a $50 refundable deposit required to rent your player's gear.